■ Working conditions for cooling: inlet air temperature - dry/wet bulb 27°C/19.5°C; temperature of inlet/outlet water - 7°C/12°C. ■ Rated air flow is measured under standard atmosphere using dry coils (dry bulb 20°C). ■ Sound pressure grade and sound level are measured in a semi-silent room as per GB/T 19232-2003. ■ H, M and L represent high, medium and low fan speed respectively. ■ All performance parameters in the above table are measure with a power supply of 220V~/50Hz. The unit features elegant panel and edge design and can be flexibly installed. It provides wide-angle circular air with a strong and even current. Air is supplied to all corners of the room, making indoor space feels natural and comfortable. 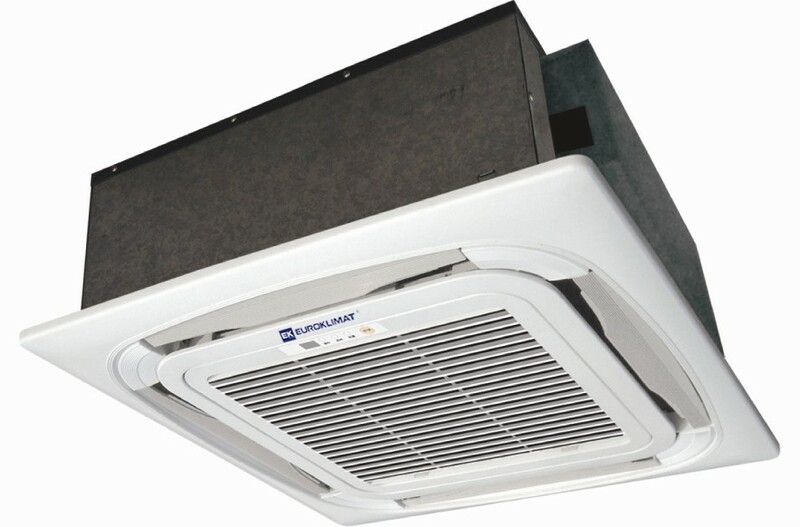 The unit features a compact design with a super-thin and streamlined front panel(30 mm thick), and can be installed inside a narrow space in the ceiling. quickly supply air to all corners, making air in the room immediately feels comfortable. Featuring aerodynamic principles, the fan has three spiral blades that are optimally placed to reduce air resistanceand operation sound.